We use our phones every day, and use them hard. When it comes to getting the most done with your phone, you want a huge screen, and Android has plenty of options that fit the bill. Some are better than others, though, so we narrow down the choices to only the best. The Samsung Galaxy S10+, Samsung's latest flagship, is also the best big phone you can buy in 2019. The 6.4-inch AMOLED display means you have room to do just about anything, and with even smaller bezels than before, you can see more on the screen at once. Add that together with top-of-the-line specs, triple rear cameras, and wide availability, and you're in for something special. The Galaxy S10+ is a great example of what makes big phones so great. Its 6.4-inch display is not only huge, but it also looks fantastic thanks to its crisp and colorful AMOLED technology. The battery is huge, there are three cameras to play around with, and everything is offered is a sleek glass/metal body that looks as great as it feels. If big phones are about pushing things to the max, the Samsung Galaxy S10+ excels no matter how you look at it. First off, and most importantly, the AMOLED screen is absolutely massive at 6.4-inches and looks gorgeous no matter what you're doing on it. There's a 4,000 mAh battery that refuses to die, internal storage that goes up to a whopping 1TB (with a microSD card slot for further expansion), 8-12GB of RAM, a headphone jack, and so much more. The S10+ is for people that want the biggest and baddest phone money can buy, and thanks to its wide availability at carriers and with an unlocked model, getting your hands on one is as easy as can be. Is it a good time to buy this phone? Yes, now's a great time to buy the Galaxy S10+. Samsung released the phone in March 2019 and we aren't expecting the company's next flagship (the Note 10) until some time this August or September. The display is one of the main reasons you buy a big phone, and with the Galaxy S10+, you get what's perhaps the very best smartphone display we've ever seen. Seriously. It's pretty massive measuring in at 6.4-inches, and just like we see every year, Samsung's AMOLED technology is a force to be reckoned with. On the S10+, the screen is brighter and more color-accurate than past devices, making a great thing even better. The Galaxy S10+ is a big, powerful, and impressive phone in just about every way. Under the hood, you'll find plenty to like, including Qualcomm's latest Snapdragon 855 processor, 8-12GB of RAM depending on the model you get, and internal storage that goes up to 1TB with the option to expand it even more using a microSD card. The battery's also quite large at 4,000 mAh, and depending on how you use the phone, you could get close to two days of use, When it does come time to charge up, Samsung offers fast wired and wireless charging. Something else we really like about the S10+ is its camera package. The back of the phone has three sensors to choose from, including a 12MP main sensor, 12MP telephoto sensor, and 16MP ultra wide sensor. Not only do photos look great, but having thee cameras with different focal lengths allows for a lot of variety with the kinds of moments you can capture. Other things like Samsung's One UI software, a headphone jack, stereo speakers, and a variety of stunning color choices for the glass (or ceramic) back are all just icing on the cake. As much as we love the Galaxy S10+, a perfect phone it is not. Whether you aren't a fan of the often slow and unreliable fingerprint sensor or can't stomach its $1000 starting price, there are a few other handsets out there that prove to be solid alternatives. If you're really digging the Galaxy S10+ but want a similar experience for a few hundred dollars less, the Galaxy Note 9 is an easy purchase. While its specs may not be the latest and greatest, it's still plenty powerful, has a 6.4-inch display, the iconic S Pen, and is more affordable than ever before. Even if you can afford the Galaxy S10+, the Note 9 may still be a better purchase for some people. The specs across the board aren't as impressive compared to the S10+, but there's one thing that only the Note 9 has — the S Pen. From doodling, taking notes in a meeting, or using it as a remote camera shutter, the S Pen's functionality is immense and is one of those things that's hard to live without once you've experienced it for yourself. Outside of the S Pen, the Note 9's kicking along just fine in 2019. Its dual cameras allow for some great photos, the rear-mounted fingerprint sensor is more reliable than the S10+'s, and the Snapdragon 845 chipset still offers more than enough power for day-to-day tasks. 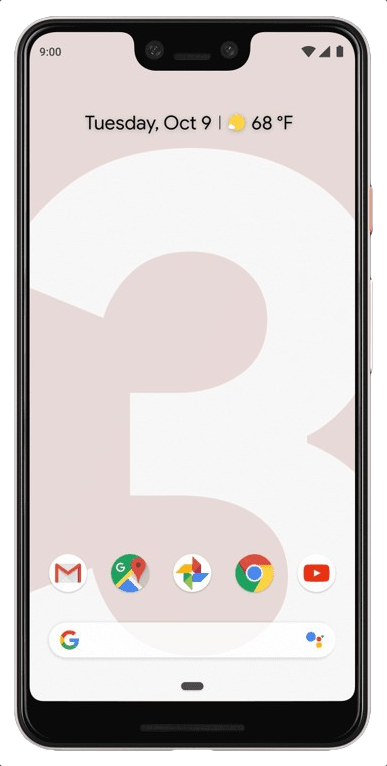 The Pixel 3 XL focuses on having the fastest, simplest, and most helpful software experience, running on simple and powerful hardware with a big display. It accents everything with an amazing camera and a handful of features that make it stand out from the competition. Google's "XL" phones have followed the big phone trend, but the Pixel 3 XL is the first one to actually have a good screen as well. The 6.3-inch OLED panel doesn't get quite as bright as Samsung's, but in every other respect is fantastic. The big phone also packs all of the great features you expect in this class of device: loud stereo speakers, water resistance, a full spec sheet and wireless charging. The only knock on the Pixel 3 XL from the perspective of someone who wants a huge screen is that it doesn't have any extra software to take advantage of it like the Galaxy S10+ does. Android 9 Pie has multi-window support, but it's clunky and doesn't feel as versatile or powerful as Samsung's. You just get a little bit more of everything. OnePlus just keeps doing it: a flagship-level phone with amazing hardware, specs and capabilities for hundreds of dollars less. You get a big screen, top-notch internals, excellent battery life, and actually capable cameras for under $600. For just $549, you're getting a lot of phone in the OnePlus 6T: physically, and in terms of specs and features. Solid hardware and a full spec sheet rival the competition, and the 6.41-inch AMOLED screen is solid. The cameras are a step down from the competition, but they're consistent and capable. And its OxygenOS software is a joy to use. The OnePlus 6T isn't perfect, and has many shortcomings when compared head-to-head with the other phones here. But with a price tag that's about $450 less than the S10+, it's hard to complain too much. Given its price, it's shocking how close the OnePlus 6T gets to the competition, and there's a good chance you'll be willing to forego a few nice-to-have extras to save so much money. There isn't much beyond the triple camera that distinguishes the V40 from the competition. But it matches other phones in every respect, and offers an alternative option for a big phone that isn't as heavy and cumbersome to hold. LG's fighting an uphill battle against Samsung's dominance, but in the V40 has a legitimate challenger to the S10+. Not only does it have a big and boastful 6.4-inch AMOLED display, it also brings three rear cameras to the table that perform similarly to that of the S10+'s. Some specs like the 3,300 mAh battery and Snapdragon 845 procssor do pale in comparison, and while we wouldn't recommend buying the V40 at its retail price, there are often sales and promotions that knock it down by at least a couple hundred dollars. When that happens, it's really worth looking into. Huge and feature-filled with a bit of U.S. wonkiness. Huawei aims straight for the highest end of the market with the Mate 20 Pro, going all-out in size, specs and capabilities. This 6.39-inch monster has a complete spec sheet, plus a downright massive battery, great triple camera setup and gorgeous color options. Huawei is doing its best Samsung impression, going after the S10+ in every way. The Mate 20 Pro is filled with plenty of features, every spec, a battery even larger than the S10+'s, and one of the best camera setups available. But like Samsung's latest phones, it comes with a software experience that's a bit grating, if not entirely frustrating, to people who haven't used a Huawei phone before. Here's where things get complicated. While you can buy the Mate 20 Pro in the United States, only international models are sold in the country. That means it comes without a manufacturer warranty and doesn't have full LTE band support for wirelss carriers — resulting in potentially slow data speeds when you're in a rural area or a large building. For big-screen lovers, the Samsung Galaxy S10+ offers everything you want (and more). It's undeniably powerful no matter what you need to accomplish, and its industry-leading display combined with its triple rear cameras and beastly battery life result in a truly unique experience. Components like the processor, RAM, and storage are about the best you could ask for, and despite being a modern 2019 flagship, the Galaxy S10+ retains fan-favorite legacy features such as expandable storage and a headphone jack. There are other options out there for less money that offer a big screen and various other desirable aspects, from the Pixel 3 XL down to the OnePlus 6T. They're all worth considering, depending on where your feelings land on Samsung's software and the price tag. Joe Maring is Android Central's News Editor and has had a love for anything with a screen and CPU since he can remember. He's been talking/writing about Android in one form or another since 2012, and often does so while camping out at the nearest coffee shop. Have a tip? Send an email to joe.maring@mobilenations.com! Andrew Martonik is the Executive Editor, U.S. at Android Central. He has been a mobile enthusiast since the Windows Mobile days, and covering all things Android-related with a unique perspective at AC since 2012. For suggestions and updates, you can reach him at andrew.martonik@androidcentral.com or on Twitter at @andrewmartonik.